Most of us have a shed or a summer house in the garden for storing all manner of ‘stuff’; some of us use the building as a workshop, or a studio, or a storeroom and keep it looking good. 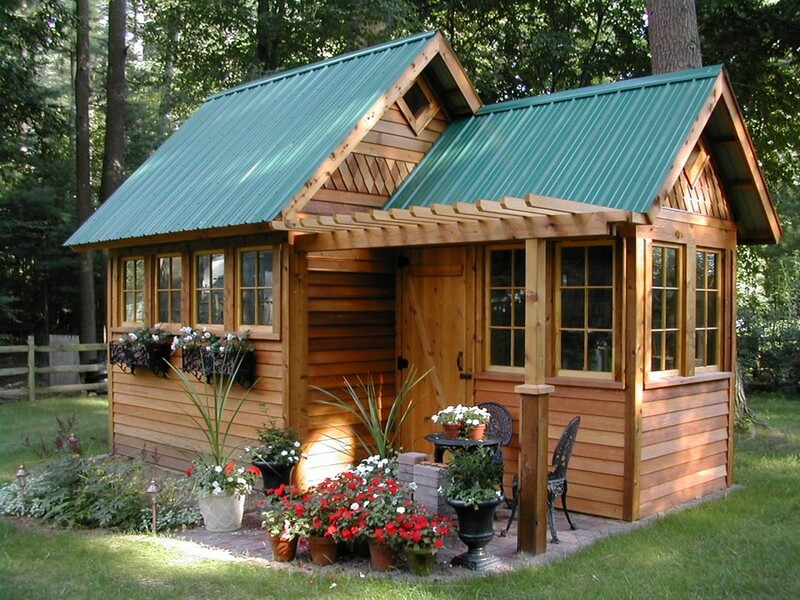 A question many people ask is: What can I do to make my shed last for many years? The answer shouldn’t come as a great surprise: Regular and thorough maintenance is key. Rain, wind and damp are the three great enemies of timber garden structures, and to get the longest life from your summer house, outdoor office or garden shed or log cabins, you need to keep these at bay. 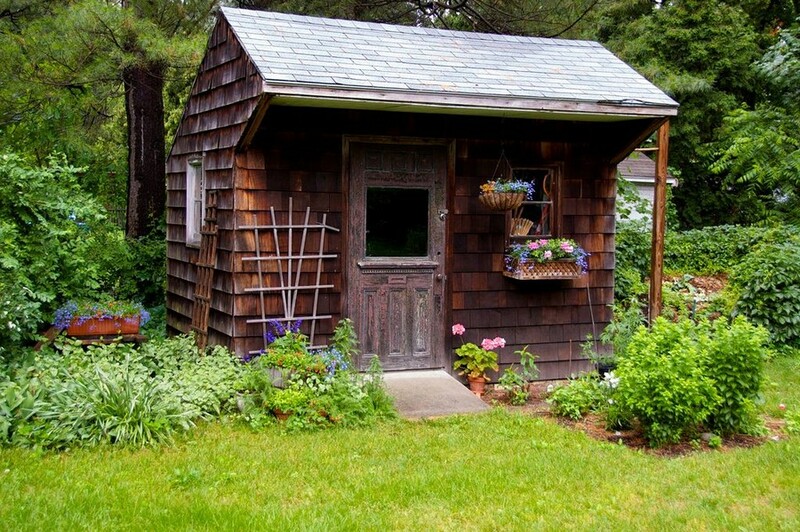 It may seem like a lot of work in terms of time and effort but proper maintenance can help keep your shed free from dirt, damp, and those nasty smells. Maintenance also helps to keep the shed timbers and the frame in tip-top condition. Here are three key areas you should focus on when you’re looking after your garden building. With things piled high all over the place it’s almost impossible to see exactly what needs to be repaired or treated. 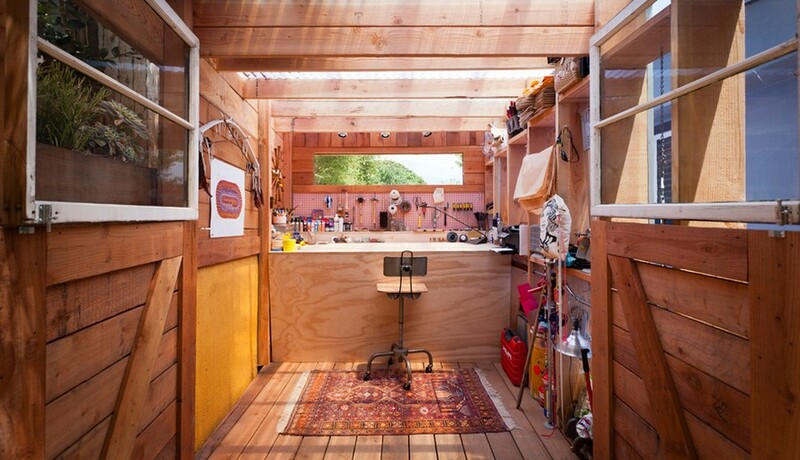 Start by clearing out the shed completely so you can see what’s what. Get rid of all the cobwebs, clean the windows and sweep the floor. A good spring clean, once or twice a year, is especially important, as it gives you an opportunity to examine each and every part of your shed and carry out any repairs and maintenance that may be required. Examine the floor and walls to see if any timber is damp or damaged and needs to be fixed or replaced. Check the window frames and high up on the walls to see that there are no water leaks. Make sure all the door handles, hinges and locks are moving freely and apply some oil. You might find that a door or window doesn’t open or close easily because the frame has swollen or warped. In this case, sand or plane the surface down. This is also the perfect time to choose which items you need to keep and those that need to go. It’s so easy to let stuff accumulate, or for you to hang on to things that ‘may’ come in handy one day. Be realistic and disciplined and get rid of anything you haven’t used for years and will probably never ever use. Chuck out old tools and junk. By doing this you’ll create more space and be able to quickly and easily find the things you want to use. When restocking your shed, sort items according to their purpose. Put the garden tools on one side and your decorating tools on the other. 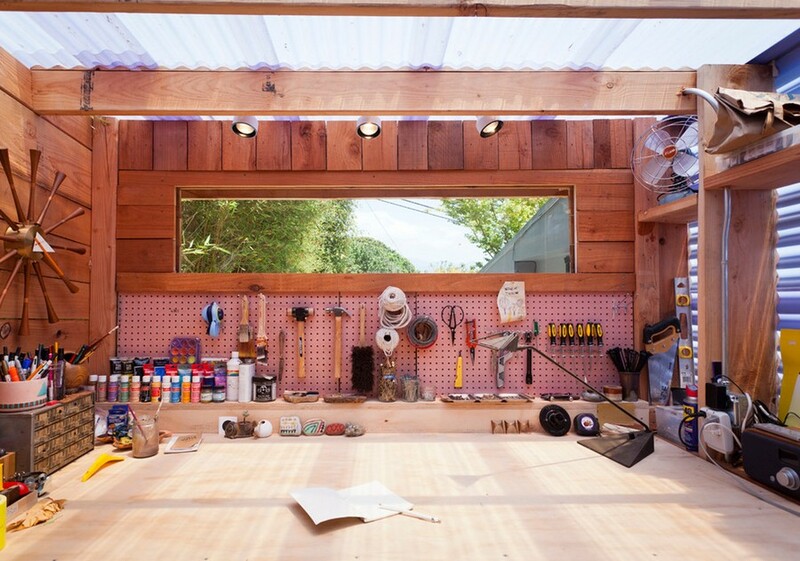 By using hooks, clamps, shelves and cabinets, you can increase the storage area of your shed and make it much easier to find the things you need. Check to see if there are any loose shingles, flashings or felt and make repairs where necessary. It’s important to do this before the winter storms set in. High winds and gales can create havoc with a small timber shed! If you have guttering on your shed, make sure the gutters aren’t blocked. Clear away all the leaves and moss, and do this regularly throughout the autumn. Blocked gutters can cause water to overflow and run down the walls, resulting in damp problems – and wood that’s damp and wet is a problem! 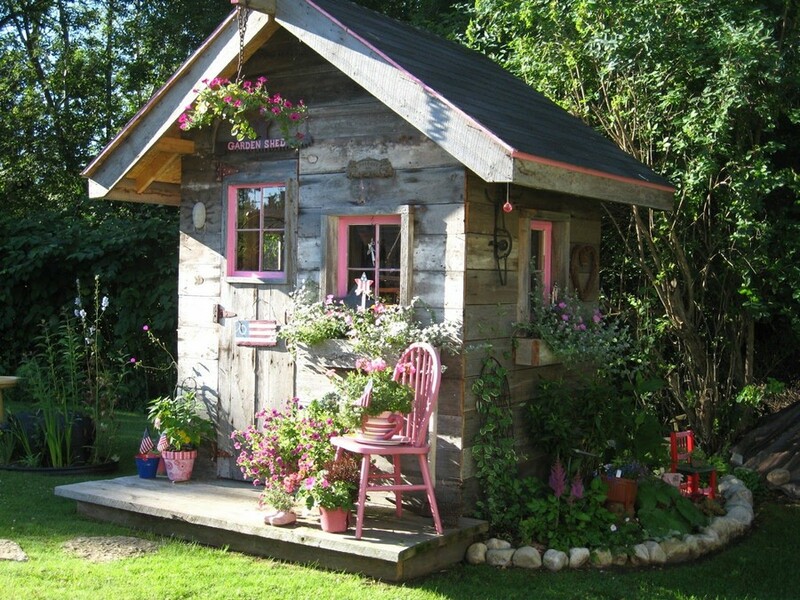 If your garden shed is close to any large trees, leaf build-up is bound to occur. Fix a leaf trap to the top of your downpipe – this will allow water to flow through, but prevent the leaves from blocking the pipe. Keep an eye on the trap and clean it regularly. If there are any trees and shrubs close to or touching your garden shed, cut them back as they will prevent proper air flow and make it almost impossible for the timber to dry out between rain showers. You should also cut off any low overhanging branches as these can easily damage roof tiles or roofing felt in windy conditions. Don’t allow garden cuttings, grass and leaves to build up around the base of the shed, as this will reduce air flow under the building and prevent the walls and foundation joists from drying out. Exposed wood needs to be treated regularly with a good quality wood preservative. Some of these treatments can help stop wood boring insects, fungal infections and rot from invading the timbers. There are also some excellent stains and paints on the market for timber outbuildings.